Amazon is holding a special promotion for the Kindle Paperwhite e-reader, making versions of the device available for $99 with a special promotional code. If you want the Kindle Paperwhite for $20 off just enter the coupon code “KINDLEPW” during the ordering process. The deal applies to any version of the Kindle Paperwhite, and it runs through April 30, 2013. 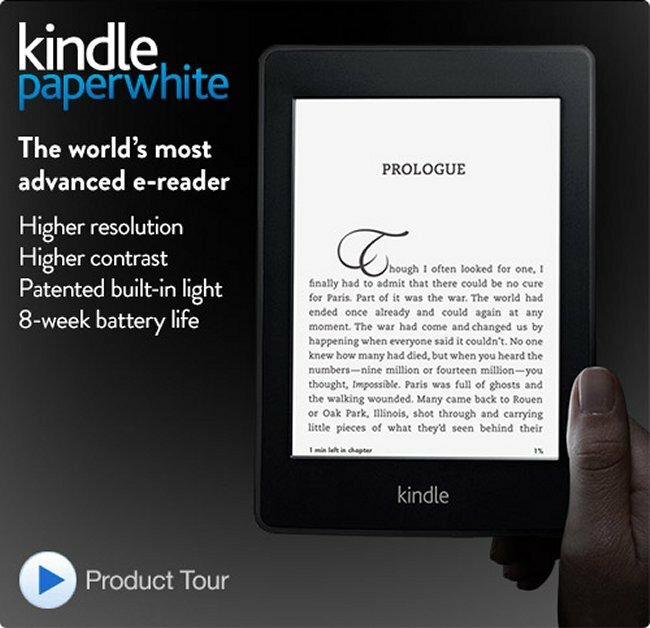 To refresh your memory, the Kindle Paperwhite’s display has a resolution of 212ppi, and it has a light guide system that scatters light evenly across the display, so it is easier to read in different environments. It also has a 25 percent higher contrast ratio than previous Kindles. The device is 9.1mm thick and at 7.5 ounces, also lighter than a paperback novel. The battery will go eight weeks on a single charge too.